 The College of Arts and Sciences is home to 22 academic divisions, 100 programs of study, 534 faculty members, and 9,250 students. That’s a lot of specialties, personalities, and interests — and Creative Campus’s Object X discussion series wants to celebrate them. By drawing together faculty and students from the College’s many academic divisions, Creative Campus hopes to “highlight the multiplicity of perspectives present in our daily lives.” Each Object X discussion focuses on a single object, which professors and students from different academic divisions analyze based on their own academic training. Faculty speakers scheduled for the event include H. Scott Hestevold, professor and chair of philosophy; Pete Schulte, professor of art; Patrick LeClair, professor of physics and astronomy; Matt Payne, professor of telecommunication and film; and James McNaughton, professor of English. Undergraduate presenters include David Phelps, undergraduate in civil engineering, education, and math; Ashley Volner, undergraduate in dance; and Thaddeus Fitzpatrick, undergraduate in musical theatre. To prepare audiences for the event, Creative Campus has also launched an Object X video series, with presentations from Hank Lazer, UA associate provost and executive director of Creative Campus; Brian Oliu, who teaches in the English department; and Ben Bailey, an undergraduate in the studio art program. The event is free and open to the public. Learn more at the Creative Campus website, creativecampus.ua.edu.